Here you will find Byourbed's selection of Twin Comforters and Twin XL Comforters. Your bed is where you rest and rejuvenate for the next day, so you want the most comfort you can find. However, you also want a great looking bedroom decor with your Twin Bed or Twin XL Bed as the centerpiece. 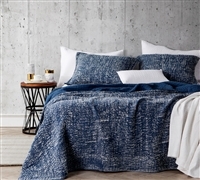 Here you will find the Twin and Twin XL Bedding essentials you need to make your bed comfortable and your room look great - all in one item. Your Twin Bedding and Twin XL Bedding is the most important parts of your home. Getting a quality night's sleep every night is important and you need comfortable Twin XL Bedding in order to do that. Here you'll find the Twin XL Comforters you need to make your bed comfortable and your room look great. Plus, with extended length and width, you can cover your entire mattress and avoid having the mattress or bed topper show through so you can keep your room looking great.